UPDATE 2/7/16 – Haven has been found safe. Haven Melina Moses, 3, is missing from Fluvanna County, Vir. 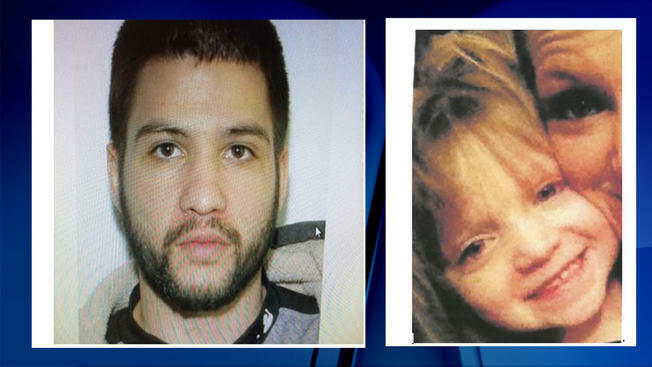 The Virginia State Police has issued an Amber Alert. Authorities believe that Haven was taken by James Arnold Moses III, 25, from 5128 W. River Road in Scottsville on Saturday, and that she is in extreme danger. They may be traveling in a Honda sedan in the Augusta County and Rockingham County areas or they may also be traveling in a brown Ford Explorer with Virginia license plate number VKS6171. Haven is described as 3′ tall and 30 pounds withblue eyes and straight blonde hair. Moses III is 5′ 4″ tall and 130 pounds with brown eyes and straight black hair. Anyone with information as to the whereabouts of either is asked to contact the Fluvanna County Sheriff’s Office at (434)589-8211 or the Virginia State Police at 1-800-822-4453 (1-800-vachild).